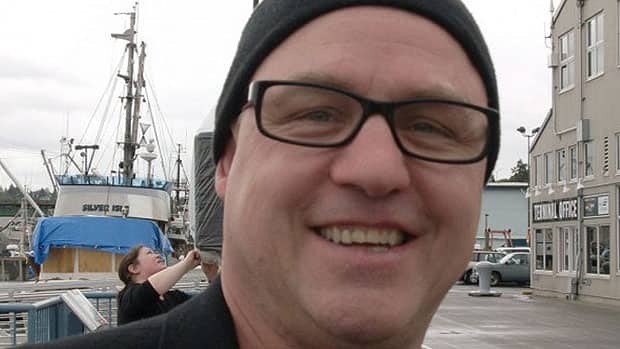 Mitch Wilson is a 52-year-old licenced tugboat captain and former NHL player who planned on working another decade. The changes began last October and Wilson was diagnosed with ALS, but he continues to fight and beat the odds. Mitch Wilson laughs when told the Internet Hockey Datebase lists him at five-foot-nine. "Everywhere I've looked, I'm listed at my true height," he says. "I'm five eight. I never ate apples off of anyone's head, that's for sure." He's not the biggest, but is definitely among the toughest. Raised in Kelowna, B.C., Wilson was 18, playing in the British Columbia Junior Hockey League, readying for a tryout with the Western Hockey League's Billings Bighorns in 1980. At the last minute, another club, the Seattle Breakers, also offered him a shot. "He was unbelievably tough for his size...well, for anyone's size," said Jake Goertzen, who scouted for the Breakers back then. "He was unbelievably determined. If he didn't like what I was saying, he'd tell me. He was like that with everyone." "Talent-wise, he struggled to make our team, but he found a way. Sticking up for others, doing what he had to do, fighting, sticking his nose in, getting under other people's skins ... he made himself valuable." "I think that's pretty nice of Jake to say," Wilson said. "All my friends were in Northern Alberta, laying pipeline. I don't want to go there." One night, the Breakers bus broke down, making them late for a game in Victoria. As the players rushed to get dressed, the Cougars were already warming up. These were particularly riotous days in the WHL and a brawl broke out with some of the Seattle players still in the room. Goertzen remembers rushing on to the ice, trying to ease the mayhem. He grabbed Wilson, who didn't care that the man holding him back was a major reason Wilson was playing at this level. "Mitch said, '[Bleeping] let go of me, or I'll hammer you,'" Goertzen laughed. Wilson had 689 penalty minutes in two WHL seasons, including 436 in his second year. But he was not just a fighter, with 66 points in that span, including 13 in 15 playoff games. One of his linemates was Alan Kerr, who would play 391 NHL games with the New York Islanders, Detroit Red Wings and Winnipeg Jets. Wilson wasn't drafted into the NHL, but remained hopeful of a tryout. Some Canadian universities called -- Dalhousie, McGill -- "my mom was pressing for school," he said. While taking some time to work for his uncle in Hinton, Alta. (approximately 300 kilometres west of Edmonton) New Jersey called. Defenceman Ken Daneyko, taken by the Devils in the first round of the 1982 draft, played 38 games for Seattle. So they'd seen Wilson. There was a hitch, though. The franchise was in the process of relocating from Colorado. "They told me I needed to wait but if anyone else calls, don't go," Wilson said. "They had a bunch of stuff going on because of the move." Someone else was interested -- longtime NHL scout Jack Button, working for Washington. Button called twice a week for a month and drove out for lunch. The Capitals told him there may be a spot on their minor-league roster. As Wilson tells it, the Devils freaked when they found out. "They offered me $1,500 just to get off the airplane in New Jersey. I said, 'Oh, they pay you for this?' I'll go there." Wilson spent his first two seasons in the minors, the second of which was particularly good for him. John Paddock retired after 17 games to become coach of the American Hockey League's Maine Mariners, and led the team to a Calder Cup championship. Wilson had a strong playoff; nine points in 17 games. With a minute to go in the final game of the championship series, teammate Roy Sommer (who set an AHL record this past season for most games coached) turned to him and said, "You're going to get the winner." The Mariners led 4-2. Wilson had scored the third goal. "I was thinking, 'Why did you tell me that? God, I hope they don't score," he laughs. Rochester didn't, although Maine added an empty-netter. Wilson began the next season (1984-85) on New Jersey's NHL roster. The opener was against the Islanders, whose streak of four consecutive Stanley Cup championships was just ended by Edmonton. The Devils combined for just 89 points over their first two seasons in the East. John Tonelli scored to make it 2-0 New York 48 seconds into the second period. Then, New Jersey scored seven straight. The first was by Aaron Broten, from Paul Gagne and Mitch Wilson, less than three minutes after Tonelli's goal. The last one, the final goal of the game, was by Don Lever, from Gagne and Wilson, at 8:50 of the third. Of course, Wilson doesn't remember his first two points. "I remember the goals," he said. Those would come later. He lasted eight more games in New Jersey before being sent back down. In the summer of 1986, Wilson knew it was time to move on. The Devils weren't going to keep him. While skating in the off-season, he ran into Gary Rissling, who'd spent six seasons in the Penguins' organization. He told Wilson that the team's AHL coach, Gene Ubriaco, liked him. On July 24, Wilson signed there. He had 17 points and 353 penalty minutes in 58 AHL games, but the real highlight were the 17 nights he got to dress with Pittsburgh. There were even a few shifts with Mario Lemieux. "Those shifts were the most nervous I've ever been," he said. There was a game where Lemieux had a hat trick as the Penguins came back to beat Winnipeg, 5-3. "I'm sitting on the bench next to Terry Ruskowski. He says, 'Have you ever seen anything like that?' If a 14-year-veteran is saying that, what do I think?" On Feb. 19, 1987, the Penguins called him up for a game in Philadelphia. The game was scoreless until 11:29 of the first period. "I was carrying the puck on my off wing; that was a strength for me. I found I could skate better that way. I got around Doug Crossman and cut across the front of the net. He tripped me and my shot went back the other way. Ron Hextall was moving across, and it went by him short side." "Oh yeah, when you only score two, you've got to remember them," Wilson says. "It was a pass out from behind the net and a backhand past Pete Peeters." "Those are two things I'm really proud of. My goals were real goals and I beat two top goalies." After the 1986-87 season, Wilson would never get another NHL shot. He finished with five points and 104 penalty minutes in 26 games. He played in the minor leagues until 1992, competing in 606 games, recording 107 goals, 249 points and 3,056 penalty minutes. He won an IHL Turner Cup in 1989 with Muskegon. At 29, Wilson was ready to begin a new career. He'd made contacts in the shipping business, working on a tugboat on the Ohio River during one hockey off-season. For the past 20 years, that's been his life. He's a licenced tugboat captain, an avid outdoorsman living on one-and-half-acres in Hood Canal, WA, approximately 125 km from Seattle. He's 52, and planned on working another decade. The changes began last October. "There was a twitching in my arms. In November, there was a feeling in my right hand, like cramps. I'd never had cramps in my life," Wilson said. He continued working as normal, going on a 62-day trip through Portland and Hawaii. "By the time I got back, I had trouble with the buttons on my jeans and shorts." But those problems were quickly overshadowed. One day before Wilson was to return, his partner of 18 years, Collete Russell, who also worked in the fishing industry, disappeared from her ship. She was found five days later, drowned, a victim of salt water poisoning. "It instantly put all of the cramps on the back-burner," Wilson said. It is the only time in the hour-long conversation Wilson's mood saddens. He'd much rather talk about him than her. As Wilson recovered from Russell's death, he began blood work and testing. Doctors began to suspect ALS. As he waited for the official diagnosis, he asked, "What's the deal if I have this?" "Four years, they told me. Only four years? Lou Gehrig was diagnosed in 1939 and died in 1941. From 1939 until 2014, all you've done is double this? If I could help raise some money and give it to the cause, I want to do that." The ALS IceBucket Challenge is a phenomenal success, raising more than $50 million in donations. Wilson would like to help, through his Facebook page and a GoFundMe account. But, what he also wants to do is keep a positive attitude. Our conversation is upbeat; he tells great stories. The man who loves it when you tell him you've heard he makes a mean "bear chili" says he hasn't "read everything I can read about it. I'm not going to depress myself; just want to deal with it as it happens." He went fishing on Sunday. His sister, Karen, who lives in Yukon, is coming to stay with him. Goertzen won a Stanley Cup as Tampa Bay's director of scouting and, on his day with the trophy, Wilson came and took a photo. But, they generally drifted apart, until now, talking every day. "I can't believe how upbeat he is, and how strong he is," Goertzen said. "I'm shaking my head; how can this happen?" "He still goes fishing, he still works on his car. Doctors said four years, he's shooting for 10."